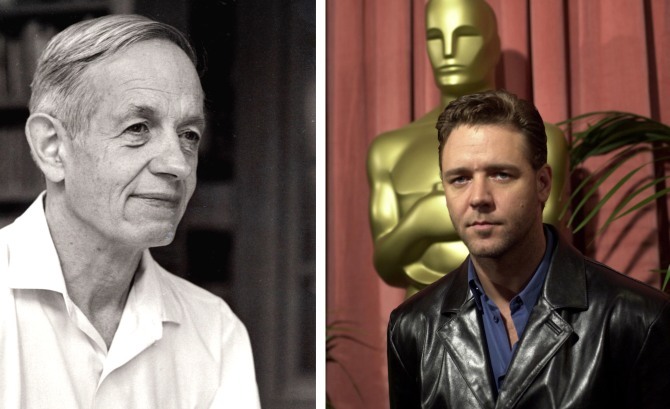 John Nash, whose work in mathematics and battle with mental illness inspired the movie A Beautiful Mind, has died after a car crash on the New Jersey turnpike. The Princeton University math scholar was riding in a taxi with his wife when the vehicle crashed. Police said the taxi driver was trying to pass a Chrysler in the center lane when he lost control, crashing into a guard rail. Both John Nash and his wife were ejected from the vehicle, police noted. “It doesn’t appear that they were wearing seatbelts,” said State Police Sgt. Gregory Williams. John Nash was renowned for his work in math, winning the Nobel Prize for Economics in 1994, the John von Neumann Theory Prize in 1978, and the American Mathematical Society’s Steele Prize for a Seminal Contribution to Research in 1999. In the week before his death he had traveled to Norway to receive the Abel Prize for mathematics from King Harald V for his work. He was known for his work in game theory and later struggles with paranoid schizophrenia. Actor Russell Crowe would go on to play Nash in the 2001 movie A Beautiful Mind, detailing this mental health struggle. The movie was credited with helping start a dialogue on the disease and with humanizing the struggle by those afflicted by it. Both Nash and his wife Alicia, later became mental health advocates, using their stature and the success of the movie to break down stereotypes about mental illness. Their efforts earned praise from those in the mental health field. John Nash remained active in his field even through his 80s, still traveling to attend conferences and give presentations on his work. He was also active in alumni groups, often supporting Princeton University and Massachusetts Institute of Technology for his wife.